I’ve always had a passion to help people live the best life they possibly can. After 10+ years in the financial services industry, I felt gravely dissatisfied with the culture of the financial services industry– and I realized that dissatisfaction stemmed from a client experience that was much more money-centered than life-centered. That realization provided the inspiration I needed to take a major risk and build my own company and mission. Our One Life team makes it possible to achieve our mission of harmonizing dreams and means to liberate lives. What I love most about our team is that they are passionate about holding me and each other accountable in practicing what we preach. They keep me focused on my family’s core values and they desire that accountability in the lives of all of our clients so that every client we serve has the potential to make the most of their One Life. Brian Lahr is the President and Founder of One Life Financial Group, Inc. He established One Life Financial to empower meaningful change in the personal and financial lives of his clients by providing a holistic, life-centered approach to financial planning. 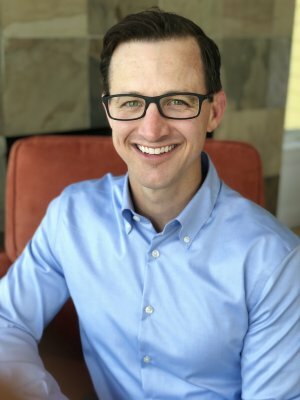 In addition to leading the One Life team, Brian serves as a financial life planner to a select number of households in the Twin Cities area and around the country. Business owners, medical professionals, corporate managers & executives, and pre-retirees and retirees make up the majority of Brian’s financial planning practice. Business Owners, Medical Professionals, Corporate Managers & Executives, and Baby Boomers make up the majority of Brian’s financial planning practice. After running a small business for three years, then graduating from St. John’s University, Brian worked as a financial advisor with two large broker-dealers. In addition to serving his clients, Brian was dedicated to the training and development of new and experienced advisors who were looking to develop more satisfying client relationships in the context of financial planning. He relished the opportunity to help other advisors transition from a sales based model to a Financial Life Planning approach that would help enhance the experience and results for clients and advisors alike. In 2011 Brian founded One Life Financial Group and grew a culture of advisors and team members who embrace the opportunity to have an impact on one life, one day at a time. Brian loves spending time with his wife, Molly, and four children, Gracie, Greta, Elin, and Hunter. When he is not at work or with family, Brian can be found working in his garden or planting food plots for wildlife, gathering with his small group from church, or leading a trip to the Boundary Waters Canoe Area. Brian also supports Feed My Starving Children as a volunteer, donor, and fundraiser. In 2015, Brian established “Giving Hope” at One Life, a program designed to combat world hunger and provide hope to those in need through the efforts of Feed My Starving Children. Thanks to our clients and team members, the Giving Hope program is able to provide food for hundreds of children each year through donations and fundraising efforts.